Atlantic Records was the pioneering home of Ray Charles, Crosby, Stills, Nash and Young, Otis Redding, Led Zeppelin, Cream, Roberta Flack, John Coltrane, and scores of other great Jazz, R&B and Pop artists. The Coasters, The Drifters, Ruth Brown, Ray Charles, Solomon Burke, Otis Redding, Sam & Dave, Wilson Pickett head the list of African-American stars that the label marketed during the 1950s and 1960s. 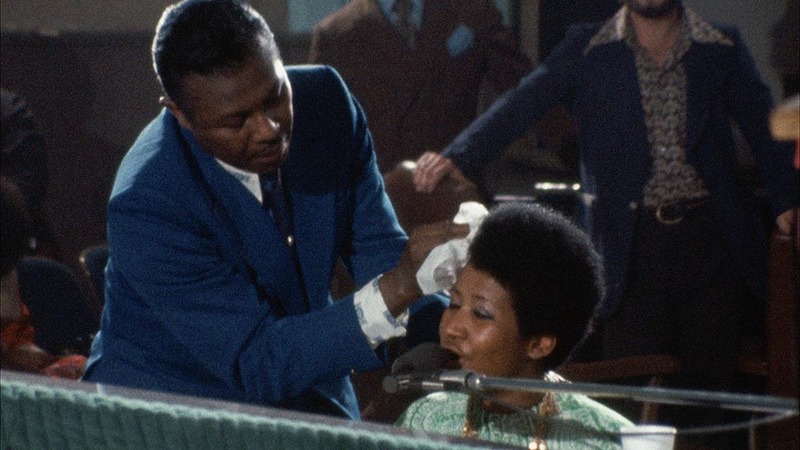 Forty-seven years later, this film is a testimony to the greatness of Aretha Franklin and a time- machine window into a moment in American musical and social history. How was the process of purchasing the film from Warner Bros like? Elliott: It was easy! Sydney Pollack and I had been having conversations about the film and then he unfortunately got sick. He called me one day to tell me he wanted me to finish the film and that he told Warner Films the same. So, my agent, Ari Emanuel, made the deal with Warner Films and we were off and running. How long have you been working on this film? What were the technical difficulties that arose with the film? Elliott: The film and audio shot in 1972 had no synchronization. 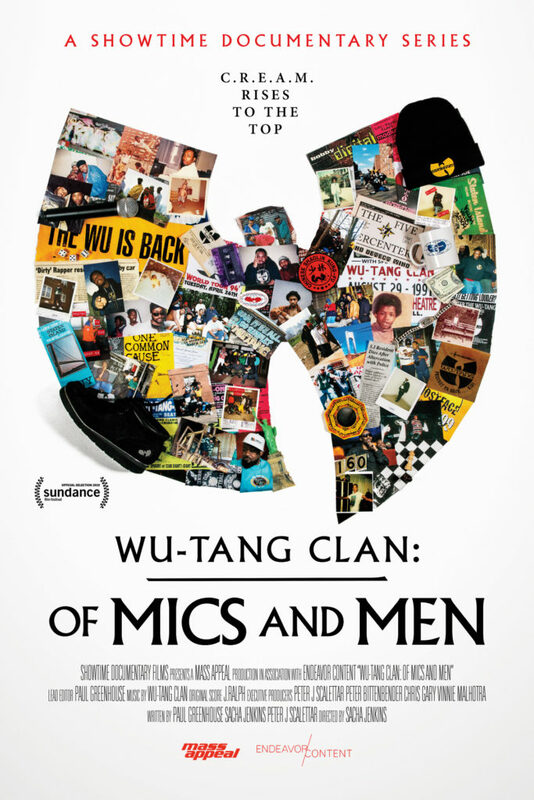 Did you know about the audio issue prior to purchasing the film? Elliott: No, I did not! What was it that ultimately fixed the audio? Elliott: Digital technology from Deluxe Entertainment services and my great friends, Gray Ainsworth and Beverly Wood, helped fix the audio. Was there anything you had to leave out of the film? What made you decide what to leave out? Elliott: Yes. My first cut was 3 and 1⁄2 hours. I was in a first screening with a friend who had just had prostate cancer…and so that informed editing choices (we needed to go faster!). Was there anyone from the film that helped with the post-edit? Elliott: Many choir members and Alexander Hamilton came to screenings and in all, just having them in the screenings informed my choices. What is your favorite Aretha Franklin song from the album “Amazing Grace”? Elliott: That would be “God Will Take Care of You”, and I had to edit it out of the film because it didn’t fit! This entry was posted in Uncategorized on April 11, 2019 . 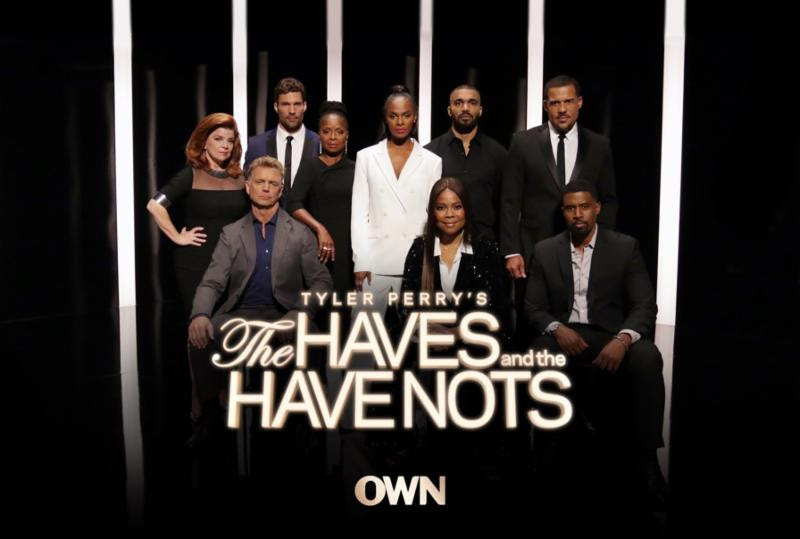 LOS ANGELES – OWN: Oprah Winfrey Network’s and Tyler Perry’s hit drama “The Haves and the Have Nots” returns for season six with all-new episodes on Tuesday, May 7 at 9:00 p.m. ET/PT. The most explosive season yet continues with scandal, destruction, and life-threatening tragedies for the Cryer, Harrington, and Young families. “The Haves and the Have Nots” ranks among the top three original scripted series on ad-supported cable with OWN’s key demo and is the #1 original scripted cable series on Tuesday nights. Season six of “The Haves and the Have Nots” culminates in one of the most jaw-dropping finales that Tyler Perry has ever written. Years of behaving badly will have deadly consequences for some of Savannah’s most prominent residents. 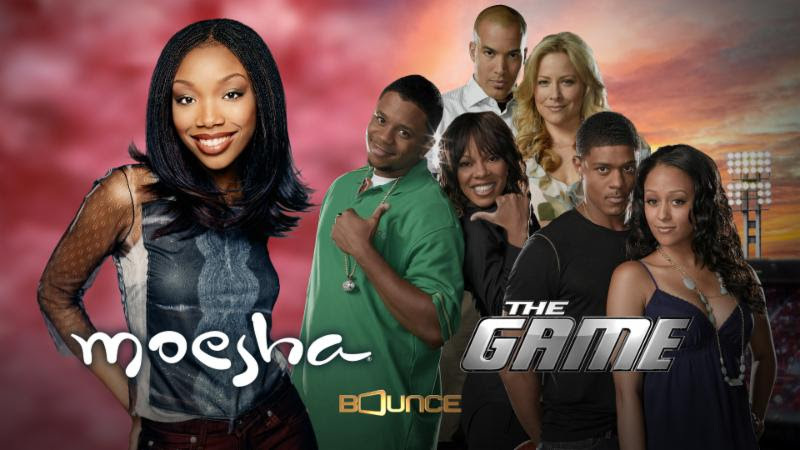 The series stars John Schneider (Jim Cryer), Tika Sumpter (Candace Young), Angela Robinson (Veronica Harrington), Renee Lawless (Katheryn Young), Crystal Fox (Hannah Young), Peter Parros (David Harrington), Tyler Lepley (Benny Young), Gavin Houston (Jeffrey Harrington) and Aaron O’Connell (Wyatt Cryer). 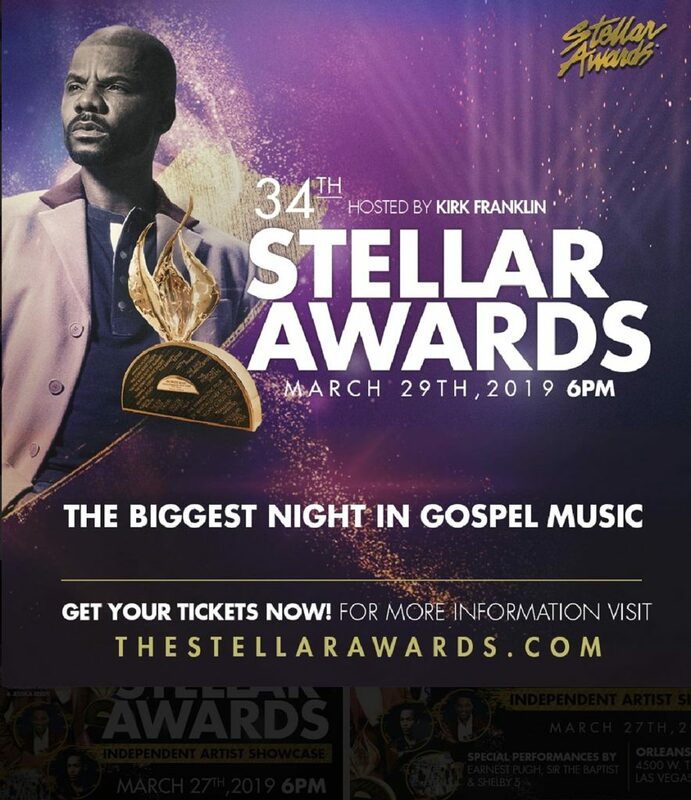 LOS ANGELES (April 8, 2019) – Fresh off the heels of their annual AAFCA Awards, the African American Film Critics Association — the world’s largest group of leading black film critics — is continuing the year with an active calendar of events and programs. 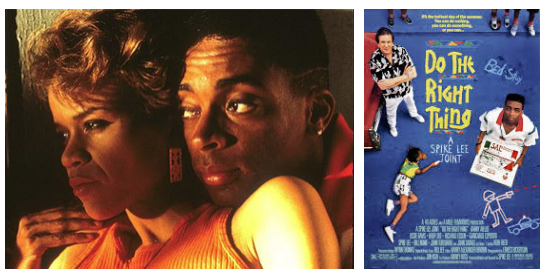 On Friday, April 12 at 9pm, AAFCA, in partnership with the 10th TCM Classic Film Festival, will present a screening of Do the Right Thing at the TCL Chinese Theatre in Hollywood. 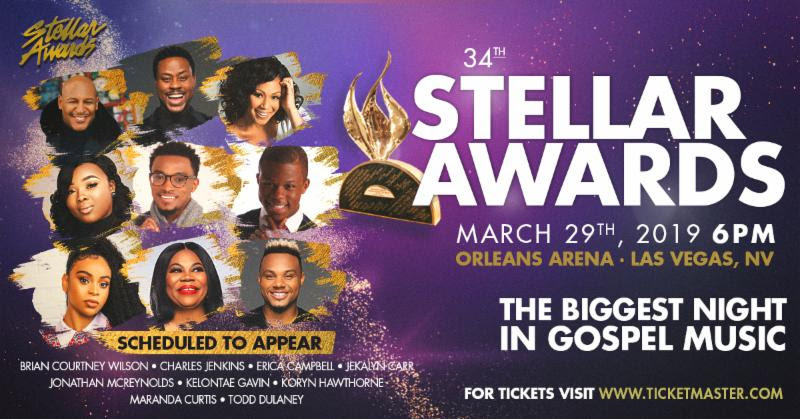 Attending from the film are Academy Award-winning costume designer Ruth E. Carter and actress Joie Lee. Complimentary tickets can be requested by emailing events@aafca.com. For Women’s History Month, AAFCA hosted a “Women in Media” discussion series Madeline Di Nonno chats with Ronda Penrice at AAFCA’s Atlanta “Women in Media” event featuring Madeline di Nonno (CEO, Geena Davis Institute on Gender in Media) and author/journalist Ronda Racha Penrice in Atlanta. Photos from the event are available to view here. 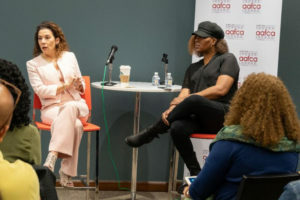 In Los Angeles, filmmaker Stephanie Allain and actress/critic Carla Renata discussed the new Netflix film Juanita, produced by Allain and starring Alfre Woodard and Blair Underwood. Watch the conversation here or by clicking the image below. 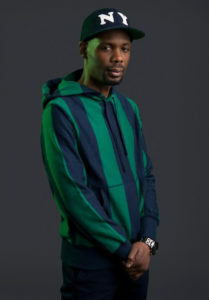 In the coming months, AAFCA will host media meet & greets in New York, Atlanta and Los Angeles. Stay tuned for details! Did you know that AAFCA has a podcast? 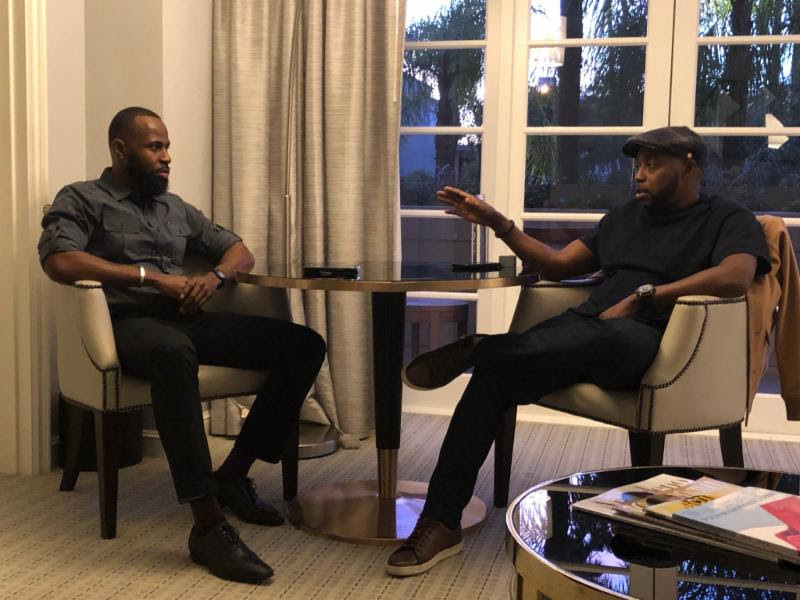 Hosted by film and entertainment journalist Edward Adams, the AAFCA Podcast digs beyond the surface to facilitate conversations that not only explore the industry, but also the larger societal impact of that work. Through insightful conversations with the industry’s hottest stars, directors, producers, other key players and a range of prominent influencers, every episode of the AAFCA Podcast will offer keen and timely analysis from leading thought leaders that will keep listeners connected to what is happening now. The complete Season 1 of the AAFCA Podcast can be found here. Season 2 will launch in September. 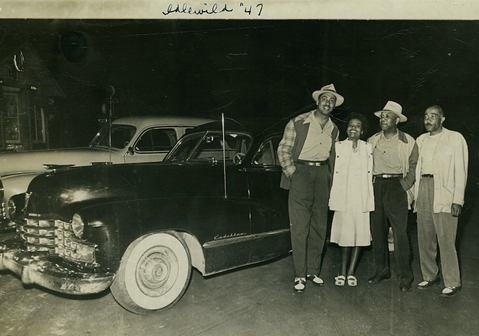 Click below to check out a recent episode on “Pioneers in African American and Women Cinema. 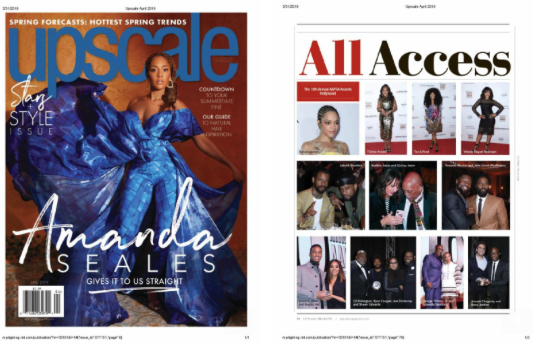 month’s issue of Upscale ! 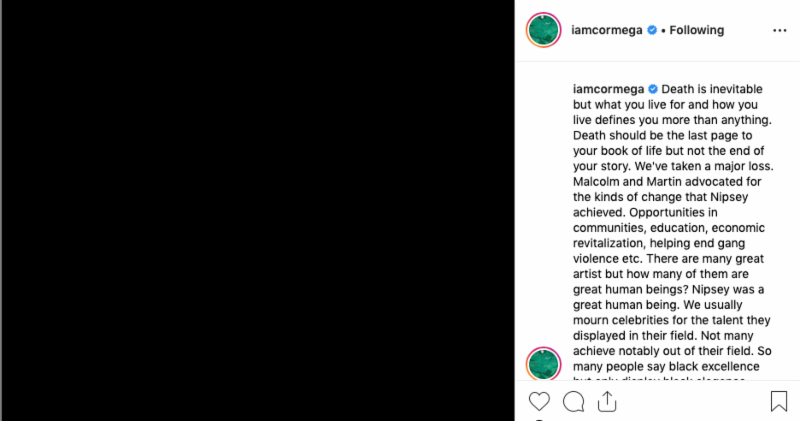 The African-American Film Critics Association (AAFCA) actively reviews cinema at-large, with a particular emphasis on films which include the Black experience. 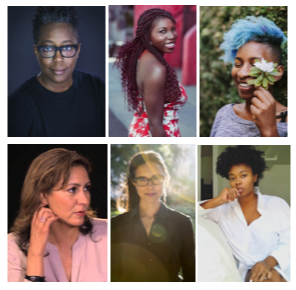 The organization creates a platform for movies with universal appeal to the African-American community, while highlighting films produced, written, directed and starring, persons from the African Diaspora. Our members are also involved in our advocacy work that includes programming for students interested in film criticism and journalism. AAFCA members are a geographically diverse cross-section of journalists, covering all genres of the cinematic arts, while representing multiple mediums – including print, TV, radio broadcast and online. Collectively, they have reached a worldwide audience in excess of 100 million. This entry was posted in Uncategorized on April 9, 2019 . This entry was posted in Uncategorized on April 8, 2019 .